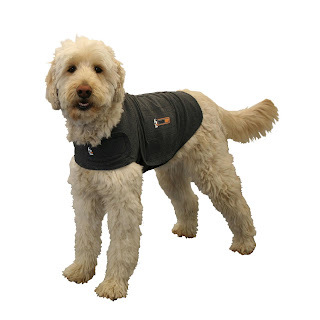 The Thundershirt is the proven solution for dog anxiety. 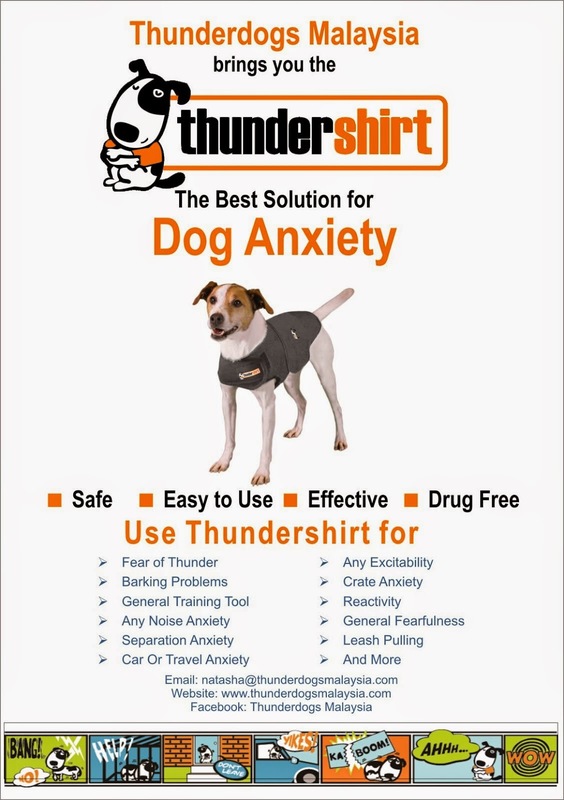 The Thundershirt is a safe, effective easy to use and drug free solution for dog anxiety. Before putting Thundershirt on your dog for the first time, we recommend offering a small amount of food to your dog using the Thundershirt as a “plate”. Dogs typically become more comfortable and trusting of something that “brings” them food or anything that they associate with food. 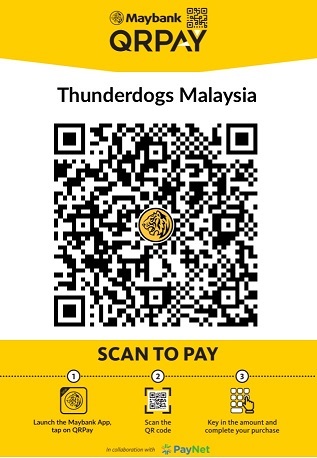 So this is an easy little trick to quickly create a positive association with Thundershirt for your dog. Thundershirt has been developed to be very easy to put on. Just lay it over your dog’s back and secure with the chest and torso straps. The fasteners fasteners make Thundershirt very adjustable to many different body shapes. 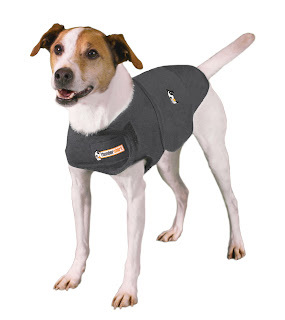 See the illustrations for more information about how to put Thundershirt on. Wrap the Long Flap under the torso and secure with fasteners onto the short flap. Make a comfortable, but snug, fit. 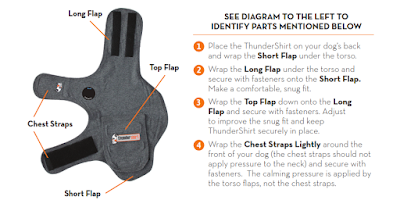 You should be able to easily slide your fingers between the Thundershirt and your dog’s torso. 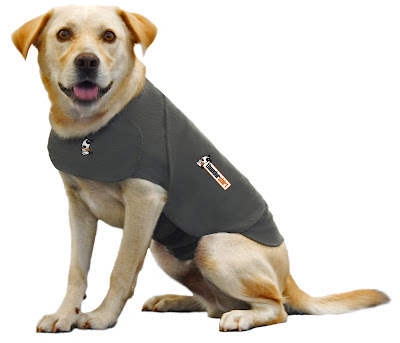 Wrap the Chest Straps around the front of the dog and secure with fasteners. You should be able to easily slide your fingers under the Chest Straps and should not feel restricting around your dog's neck.